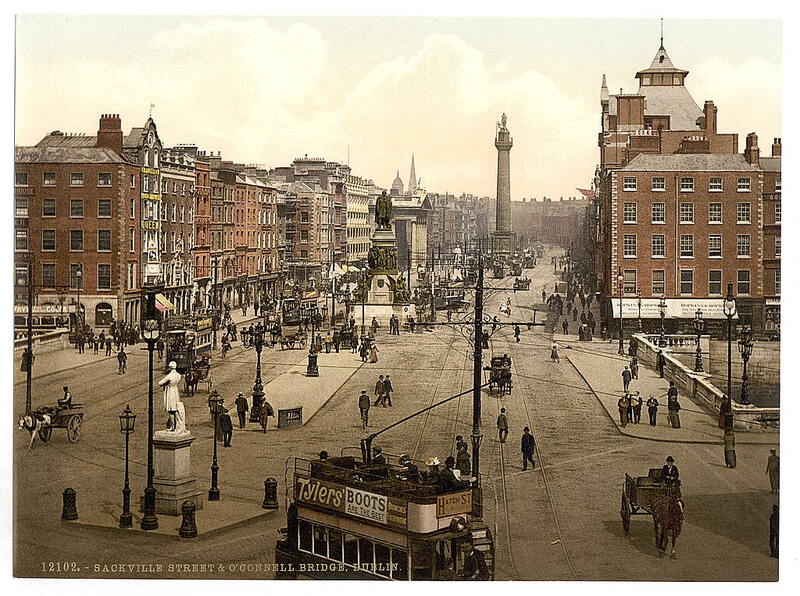 Sackville Street (now O'Connell St.), Dublin in 1905. Ireland had been made a part of the United Kingdom in 1801. 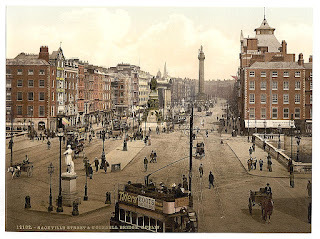 In the last half of the 19th Century, many Irish people campaigned for Home Rule, which would have given an Irish parliament control over affairs inside Ireland, while Britain kept control of other matters. By the time World War I (1914-18) broke out, many people became impatient. The Easter Rising of 1916 led many people to move away from Home Rule and demand full independence for a new Irish Republic. But how would Britain respond? This topic is split into a number of smaller sections. I've divided them into three. Click on the links below to get the sections you want.